Summertime is berry season, and throughout these warmer months a multitude of different berries become ready for harvest in a seemingly unending succession of sweetness. Preserving these berries at the height of their flavor and freshness becomes of the utmost importance, since once the weather starts to cool down there will be no more berries until the following year. Now is the time to try your hand at preserving these babies, before they are gone. 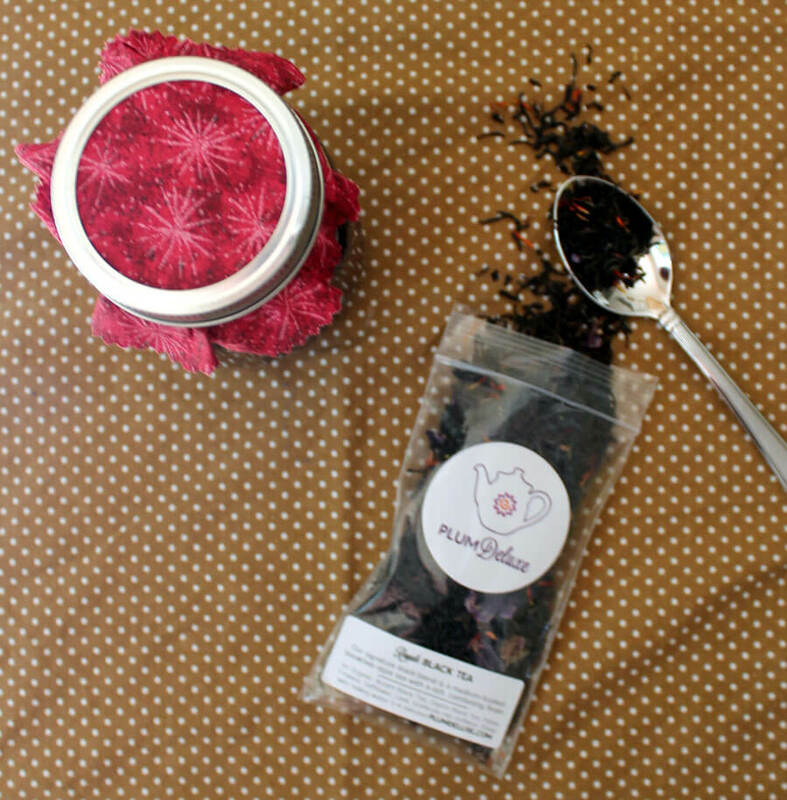 This is an easy recipe for a mixed summer berry tea jelly infused with Plum Deluxe’s signature Royale Black Tea. 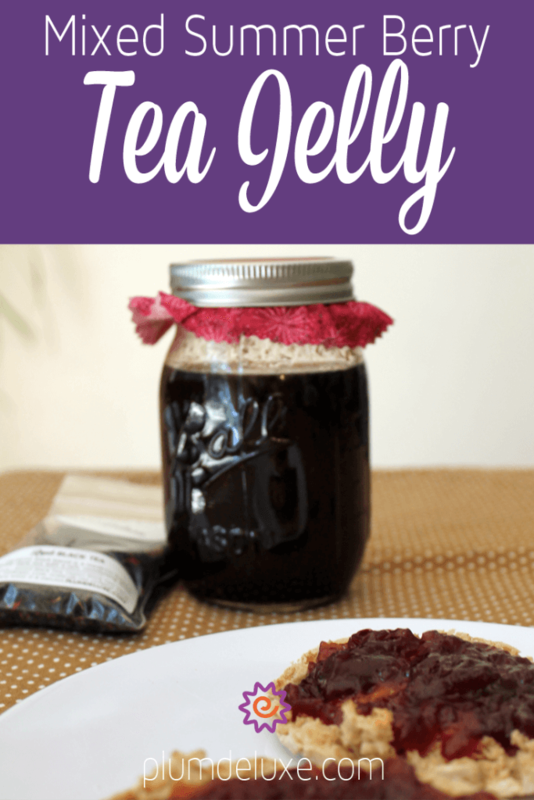 This super easy recipe utilizes the best classic jam recipes, with their centuries of trial and error, and adds a fun new twist with the addition of a strong black tea. 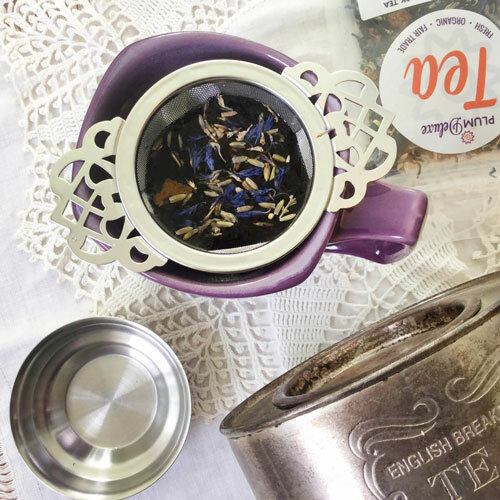 While the flavors of the mixed berries take the main stage, the understated hint of tea adds a note of intrigue that really makes the jam unique and delicious. It’s great swirled into yogurt, on toast, or even over ice cream for a fun summer dessert. It could also be a great addition to a teatime service as a spread for scones, or a cream cheese and preserve tea sandwich. Additionally, it would make a wonderful homemade gift to add to a gift basket or as a small trinket. 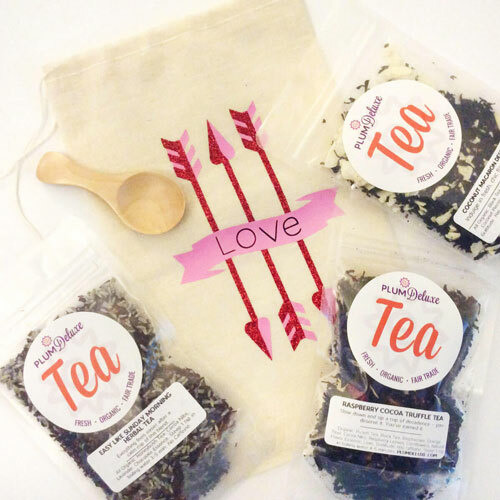 Who wouldn’t enjoy a handmade, personalized gift such as tea-infused preserves? 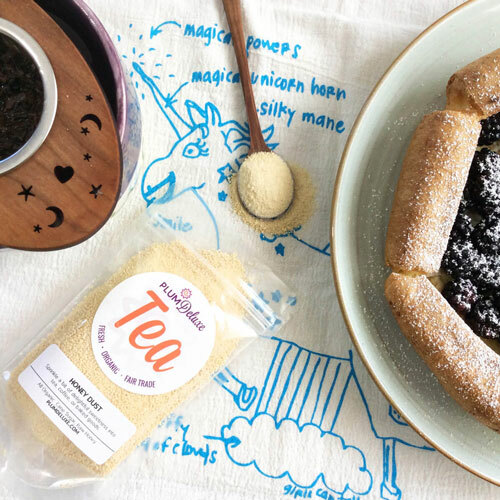 This fun tea jelly is just as universal in its uses as any other jam. Once you have mastered this basic recipe, the variations are endless. 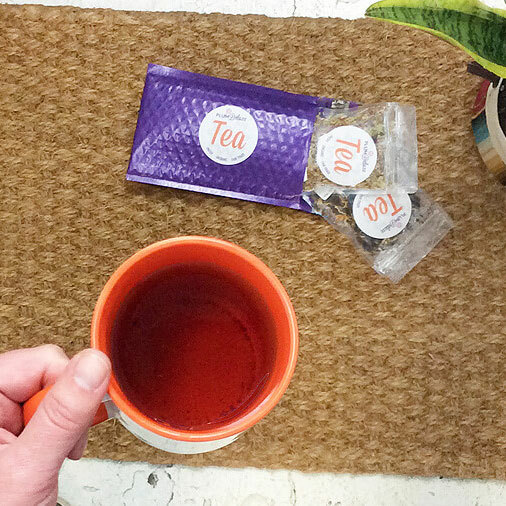 Imagine the new and interesting flavor combinations that you could create with tea and fruit preserves. Combinations like orange preserves with a hint of oolong, strawberry earl grey, or an apple rose (think Portland Rose City Chai) would be a great start. In a large pot, combine the sugar and tea up to a simmer and stir until the sugar has dissolved. Stir in the mixed berries, and let simmer until the combination begins to thicken, about 10 minutes. Stir in the pectin and bring to a hard boil. Cook for one minute, or until the liquid has reached 220 degrees F on a thermometer. Remove from heat. Store in the fridge for up to 1 week, or can immediately using the water bath method.